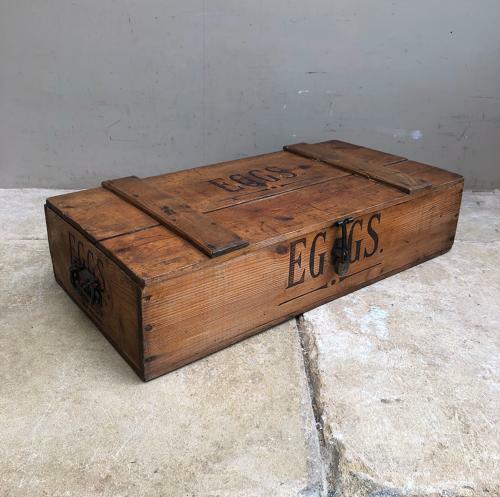 Superb Condition Early 20th Pine Travelling EGGS Box. Side carrying handles and all hinges original and intact. EGGS Clearly on all sides. Stamped COOKSLEYS LTD BOX MAKERS on each side. Great colour with no worm. May be too large to post. Collection or Courier UK £45 (Not including Scotland).